1.What is the mailbox service? 2.Which mailbox sizes could be chose? 3.What is the document locker service? 4.Which document lockers sizes could be chose? 7.Procedure of hiring mini storage and discount? 8.How to go to the mini storage in Kwun Tong? 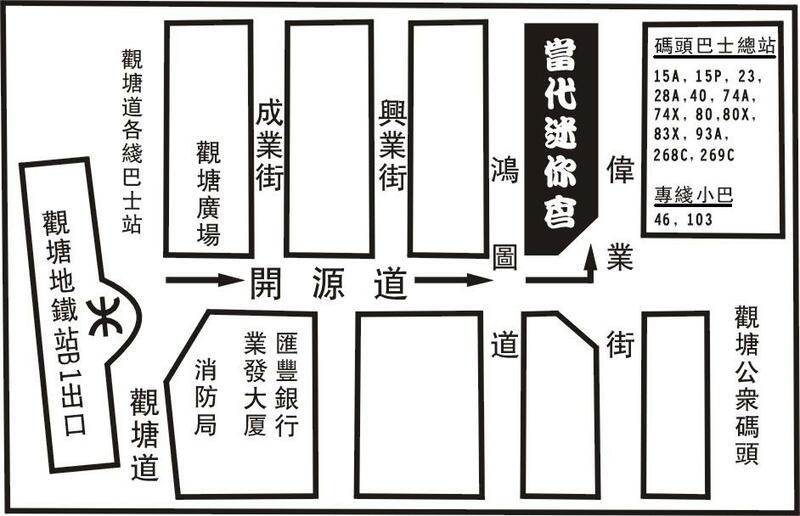 9.How to go to the mini storage in Kwai Chung? Mailbox service is especially instead of customer to receive mails. It plays a important role in protecting privacy. For customer who hasn’t a fixed place to receive letters is very convinces. Moreover, application is simple. Mailbox is good support for your communication. Mailbox sizes are divided into two kinds, big and small. Small size mailbox mainly provides service of letters. Big size mailbox mainly provides service of letters, documents, and big packages. Document looker provides service of small items and files. Mini storage has dehumidifier equipment, keeping your items dry, such as photographs. Moreover, 24 hours Close-Circuit Television system can make your storage keep in cleaning and safety place. Set your heart at rest. Document lockers are divided into three kinds, big, medium and small. Different sizes for you according your practical needs. New customer hire the mini storage have to pre-pay one month fees or above and deposit. (Deposit will be refunded after contract has been terminated). Another, if customer wants to continue the contract before it’s terminated, please arranged your payment before the deadline. By the way, you could go to our office to pay the cash or checks. Also, you could mail checks or bank transfer payment to us. If you want to terminate the contract, you have to give a notice to inform us at lease 7 days before. Customers deposit will be refunded when you have filled out the refund form. We will deal with it in 2 weeks as soon as possible. To hire the mini storages, it’s very simple. You just to fill out the application form, paying the deposit and rents, and then, you could use it at once. Apply it from now on, to prepay one year fees having a discount on 10% off; to prepay half year fees having a discount on 50% off. Mini storage lies in the junction of the Albert Street and Hoi Yuen Road. We’re nearby subway stations and bus terminus. The transportation is very convenient. Customer could take the underground to the Kwun Tong station export of B1. And then, walking toward the side of Hoi Yuen Road stairs, turn left at the end of the Hoi Yuen Road( before the roundabout), The distance about 10 minutes waling. In addition, you can also take a bus to Kwun Tong Bus station, opposing to the sea, straight across the road. About 5 minutes walking. Customers can take the subway to Kwai Hing Station exports of A, walking straight from Kwai Hing Road to Kwai Wing Road, and go down to the Ta Chuen Ping Street. The journey is about 10 minutes.